I know what you are all thinking, "Kathryn, I would really like to see more pictures of your dachshund puppy Hetty- the pictures you post on your instagram and her OWN instagram (@liquidgrainpets) are just not enough. Give me more!" 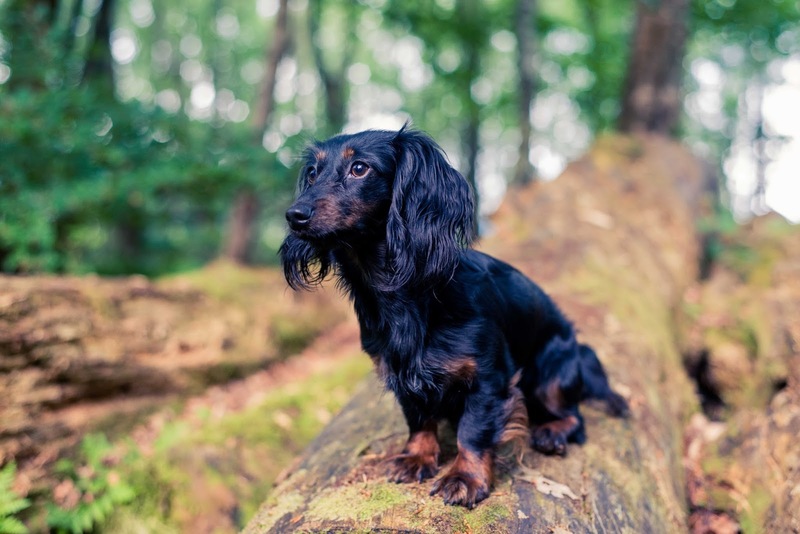 Well I am here to do just that for you- more Hetty the dachshund pictures, more cuteness and all in a woodland setting! 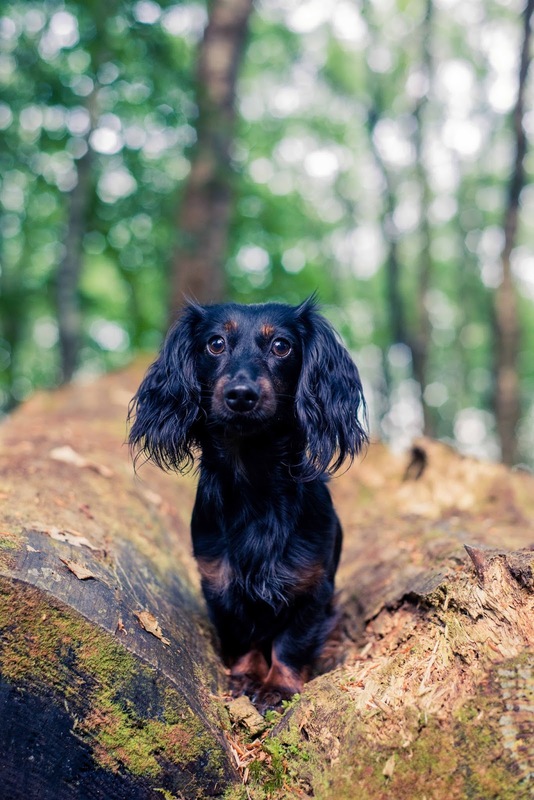 In addition to the bundle of cuteness I will also be sharing my top tips for pet photography and how we get pictures of both Hetty and Tilly the cocker spaniel. It obviously helps that Hetty and Tilly are babes, all dogs are babes (FACT) and most other pets are also babes. So this is an easy first step. Use the same training commands as you would always use in a calm and non-rushed manner - even if you are secretly scared that they are about to run off without their collar on and you have to get a good photo and is that a strange dog coming down the lane? But stay chill and have fun and your pet will too! This is a bit of a no-brainer but having an incentive for the pet to stay still and to look at you makes the job so much easier. This is where it is also useful to have two people - one to take the photos and the other for animal wrangling. The Animal Wrangler is in charge of using the incentive to keep the pet where you want them to be and focusing on the camera. Tilly's incentive is her dog whistle, which Matty can blow through at the same time as shooting - super handy. For Hetty it's food- what this girl won't do for some ham.... (like dog, like owner?). Make sure to regularly give them the incentive though, so it's a game and they enjoy the shoot. Little bursts of photos are far better than one long shoot. Photographers you better be prepared to get low to get the good shots, get down to their level! It's all about dem eyes, so make them sharp. Additionally the eye closest to you should be the sharpest if you have to choose between them. Before a shoot there is the temptation to run them tired off the lead to calm them down for the shoot but this is what you don't want to do! This will result in panting, tongues out, eye boggling and mucky puppies! If it's rainy I sometimes even carry Hetty to wherever we are shooting first! Take the time to wipe your dogs' eyes' tears or tear stains away. They might not be that noticeable in person but you can't help but notice them in photos! 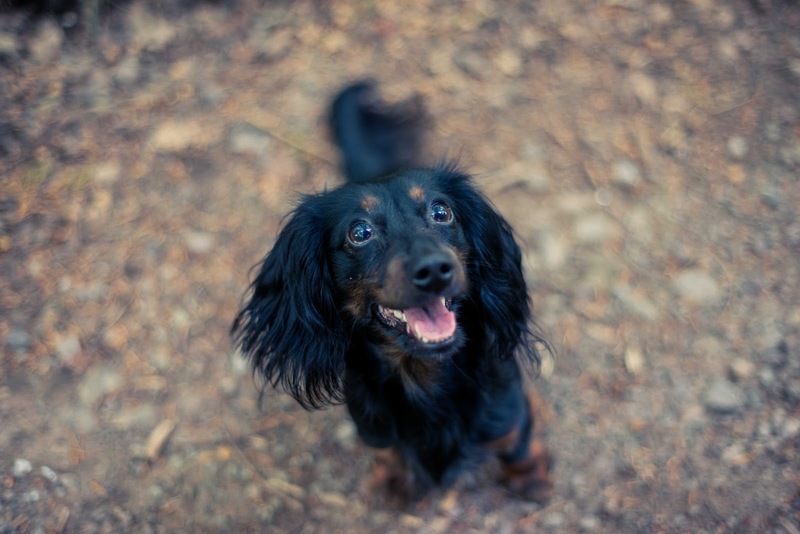 So there we have it, our top tips for photographing our mutts! Let me know down below what you find the best tip for photographing your pets, I love learning more of them! Plus I hope you enjoyed Hetty's woodland photo shoot, it was only a couple of snaps as we weren't planning on taking photos that day and it was super hot (hence the tongue and eyes)!